Mandarake (pronounced “man-dah-rah-keh”) is a chain of stores that specializes in buying and reselling Japanese pop culture merchandise. 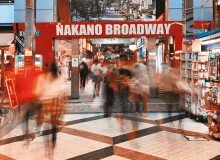 Starting from its humble beginnings as a used comic store in Nakano Broadway, Mandarake has grown to 11 branches around the country, an international online store and a mind-bending 25 individual stores in Nakano Broadway itself. Each store targets a specific niche and is staffed by people who are active members of that niche, sharing their customers’s passions and providing more personalized service. 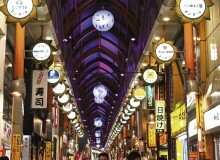 There are also international staff who speak English, Chinese and other languages. On the fourth floor, Hen-ya transports customers back in time through its bright red torii-inspired portal. 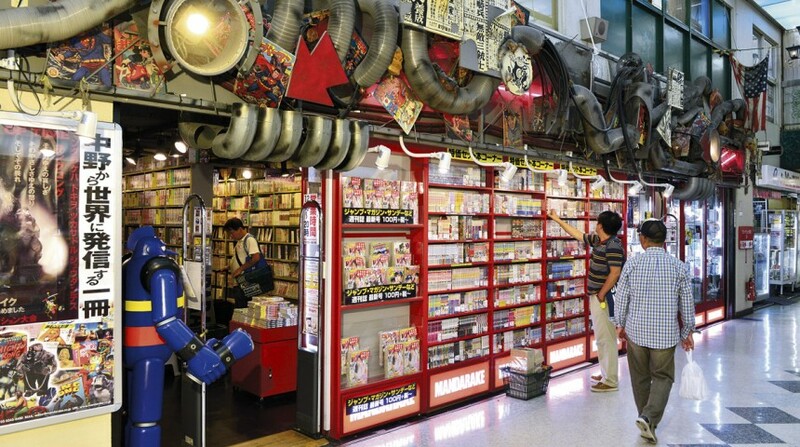 Hen-ya has a selection of tin toys that date back before World War II, as well as other iconic toys and nostalgic goods from every decade of modern Japanese history. On the fourth floor, Mania-kan has select vintage comic books and magazines, including original printed editions of “father of manga” Osamu Tezuka’s work. Mania-kan also stocks limited-print books and classic bonus material art books. It’s an astounding glimpse into the history of manga. 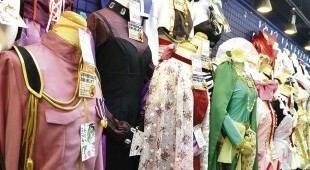 On the second floor, Cosplay sells a selection of handmade, often once-off costumes that were made by actual cosplayers. Because the majority of these costumes are unused, customers can’t try them on for size until they commit to the purchase so as to preserve the costumes’s quality. On the fourth floor, Plastic is dedicated to dolls and toys for girls. The shop stocks a selection of poseable, customizable dolls, like Dolfie and SD, as well as original Sailor Moon and Barbie dolls from every generation. Also on the fourth floor, Anime-kan has a small but extremely rare selection of animation cels, original artwork and signed sketches from famous character designers and animators. A number of its rarest items are auctioned off to Mandarake’s online Everyday Auction, so the selection is constantly changing. 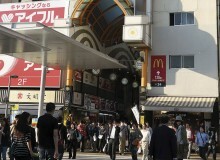 Mandarake’s most popular stores with both Japanese and international customers are its Special stores. Each store caters to specific types of figurines and models. On the second floor, Special 4 delivers doe-eyed damsels to collectors of bishōjo (beautiful girl) figurines. Special 5 stocks a selection of Japanese and Western superhero and movie-themed action figures and statues. The original Special has an assortment of classic toys, including Transformers and that quintessential Japanese pop culture icon, Godzilla. 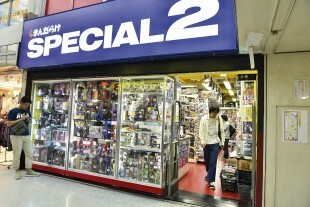 On the third floor, Special 2 serves up Japanese Tokusatsu series, including Kamen Rider products. 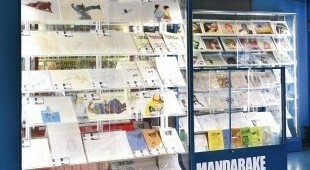 Special 3 sells Japanese manga representative of modern pop culture, such as Dragon Ball and Saint Seiya. Among Mandarake’s stores dedicated to manga are some that specialize in gender-specific publications, while a classic games store boasts a collection of Japanese titles across every classic game console system. 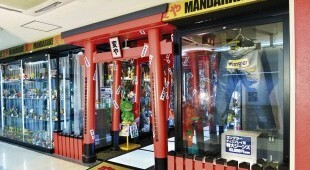 Other Mandarake shops include a trading card store, a model car store, J-Pop and K-Pop stores, and an anime video & CD store. While the specialization of Mandarake’s 25 shops in Nakano Broadway means customers can save time by focusing their efforts on the things that most appeal to them, the sheer number, diversity, and representative history of items in each place makes Mandarake more than just a chain of stores selling second-hand pop culture: together, they form a time capsule dedicated to preserving and sharing that culture with fans around the world of all generations.